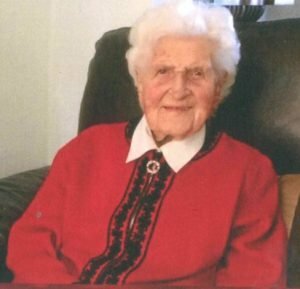 Mildred died peacefully at Madley Park House on 16th February aged 103 years. Her funeral will take place at NorthWay Free Church, Sutton Road, Oxford on Friday 12th April at 12.30pm. Donations are gratefully received for Dementia UK.